Throngs of anglers and fisherman gather at the inlet to relax, fish and watch the sport fishing, recreation and drift fishing boats travel in and out of the inlet. The South Lake Worth Inlet (commonly known as the Boynton Inlet) is located in Ocean Ridge, Florida. The first inlet into Lake Worth was cut in the mid-19th century in the vicinity of today’s Lake Worth Inlet on the north end of the barrier island of Palm Beach, and was stabilized in 1917 as a navigable inlet. In 1925, the South Lake Worth Inlet was cut at the south end of the body of water known as Lake Worth. In the early 1920s, the need was seen for an additional inlet at the south end of Lake Worth to allow better water circulation and improve water quality. Both the cities of West Palm Beach and Lake Worth dumped sewage into Lake Worth as water treatment was nonexistent in the 1920s. On October 10, 1923, the newly formed South Lake Worth Inlet District appropriated monies for engineering work on the Inlet and construction began with Karl Riddle serving as chief engineer (Palm Beach Post). 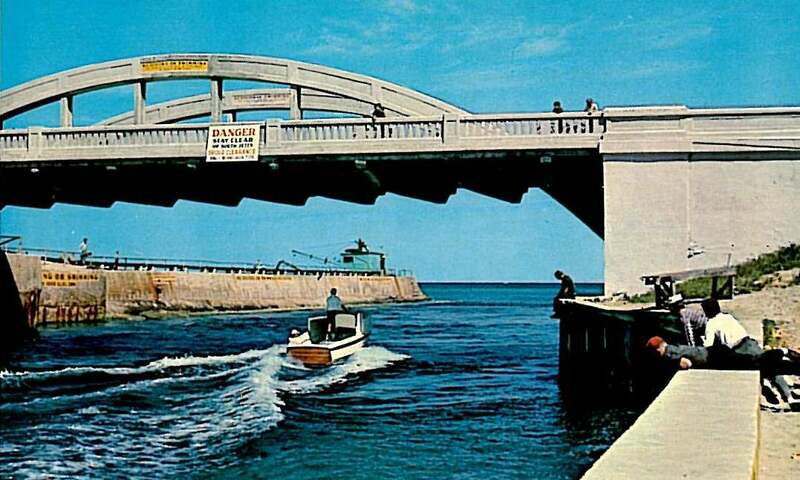 The rainbow-style bridge over the inlet was opened September 3, 1926 to allow automobile traffic to continue through to Palm Beach along Ocean Boulevard (Palm Beach Post). Work continued on the inlet and it opened March 16, 1927 (Palm Beach Post). The inlet impeded the natural sand flow to the south of the inlet, resulting in severe erosion along those beaches. In 1937, the world’s first fixed sand bypassing plant, with extended jetties on the north and south ends were constructed, which greatly reduced erosion (Dean & O’Brien, 1987). 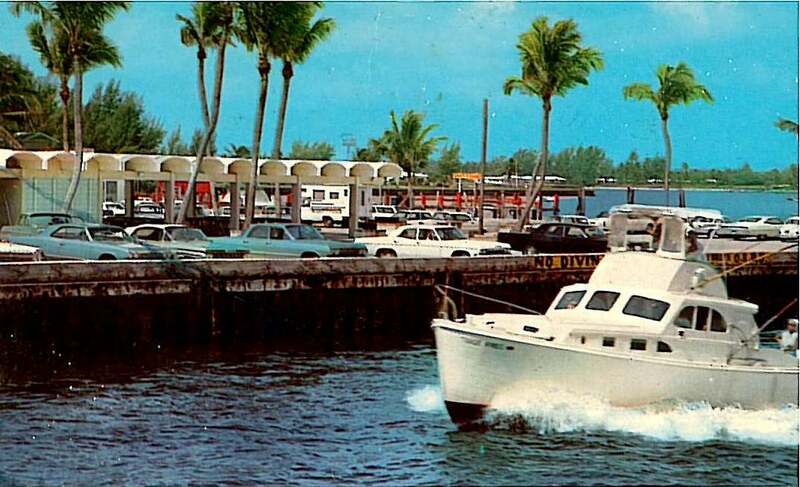 The Inlet opening jump-started the local economy and launched Boynton Beach as a fishing and boating destination. The Inlet allowed easy access to the Atlantic Ocean and Gulf Stream, as Boynton Beach is the closest municipality to the Gulf Stream waters. 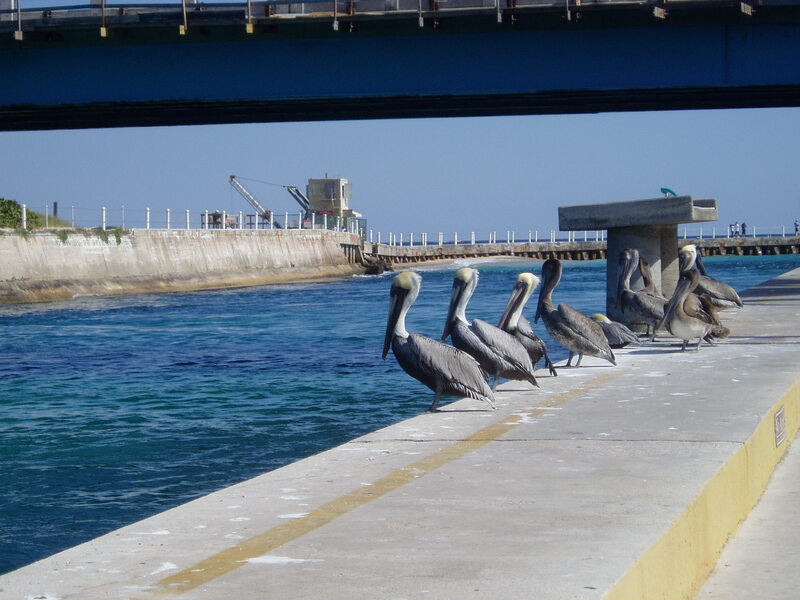 The areas surrounding the Inlet became a popular destination with local residents and tourists. In 1988, the county improved the park and its amenities. The Inlet and site continue to draw thousands each year to its blue waters and park facilities. Thank you for the history lesson, I spent many a night fishing, and a couple of other things best not mentioned here, at the inlet. While in the Navy I saw many a beautiful sunrise, however none compared to the ones I would stay up all night to see at the inlet. As for the bridge, what a great place to dive from. Man I miss the Florida I grew up in. Love the artical. I too was born and raised in Lantana and Lake Worth. I live in Indiana now and seeing these pictures brings back wonderful memories. Thank you so much.